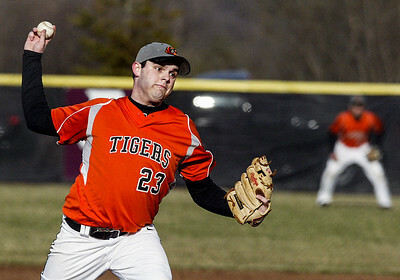 Sarah Nader- snader@shawmedia.com Crystal Lake Central's Tanner Larkins pitches during Tuesday's game against Prairie Ridge at Prairie Ridge High School April 15, 2014. 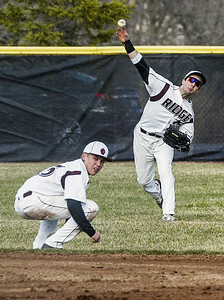 Prairie Ridge defeated Crystal Lake Central, 3-2. Sarah Nader- snader@shawmedia.com Prairie Ridge's John Myers throws in a a deep hit during the second inning at Tuesday's game against Crystal Lake Central at Prairie Ridge High School April 15, 2014. Prairie Ridge defeated Crystal Lake Central, 3-2. Sarah Nader- snader@shawmedia.com Prairie Ridge's Benjamin Cilano pitches during the second inning at Tuesday's game against Crystal Lake Central at Prairie Ridge High School April 15, 2014. 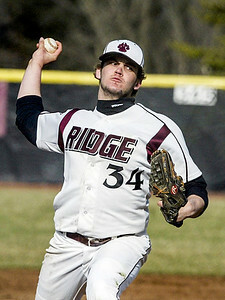 Prairie Ridge defeated Crystal Lake Central, 3-2. Sarah Nader- snader@shawmedia.com Prairie Ridge's Kyle Buresch runs towards the ball during the second inning of Tuesday's game against Crystal Lake Central at Prairie Ridge High School April 15, 2014. Prairie Ridge defeated Crystal Lake Central, 3-2. 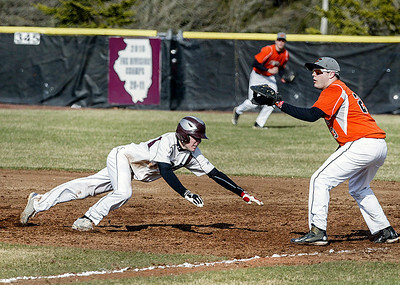 Sarah Nader- snader@shawmedia.com Prairie Ridge's Daniel Pecoraro (left) safely slides back to first while Crystal Lake Central's Tanner Larkins waits for the ball during the first inning at Tuesday's game at Prairie Ridge High School April 15, 2014. Prairie Ridge defeated Crystal Lake Central, 3-2. 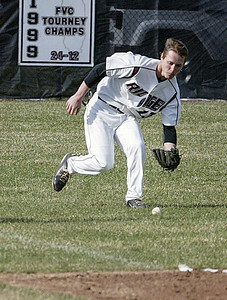 Prairie Ridge's Kyle Buresch runs towards the ball during the second inning of Tuesday's game against Crystal Lake Central at Prairie Ridge High School April 15, 2014. Prairie Ridge defeated Crystal Lake Central, 3-2.